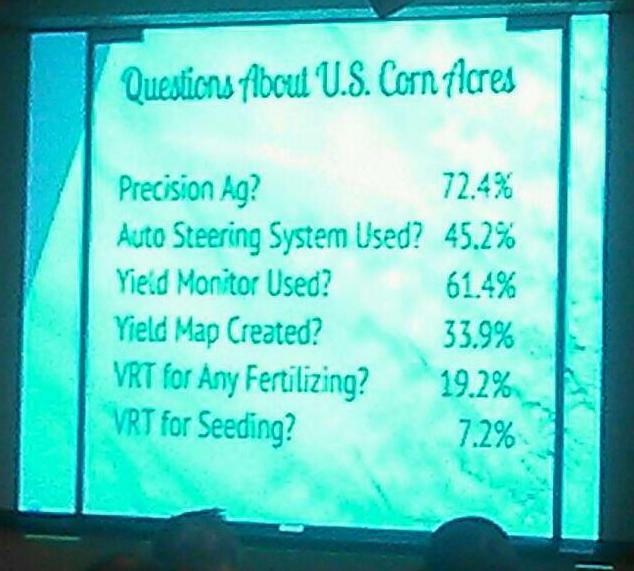 Captured pics of slides at last week’s Nebraska Ag Technology Association Conference. What comments do you have about them? 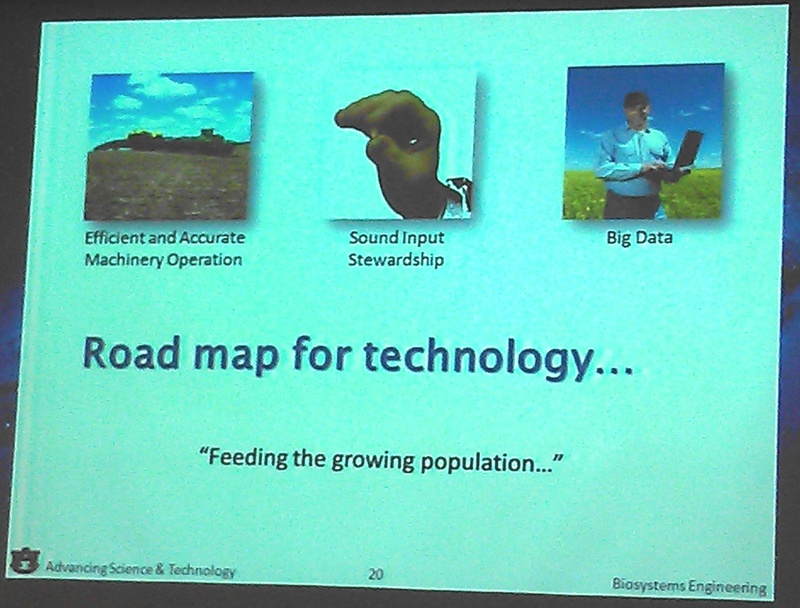 In December, Dr. David Kohl, Professor Emeritus from Virginia Tech spoke at the Farmers and Ranchers College. Dr. Kohl always has great insight and for those who read his articles, it’s extra special to hear him fit what he knows and sees all together into one talk! He moves fast and my pen was flying but I’ll do my best to summarize some key points I took away. Dr. Kohl talked about how to become a “cut above super producer”. Essentially much of this comes down to a profit plan (60-30-10) where 60% of profit focuses on efficiency then growth. One way to do this is to focus on doing better before you worry about getting bigger. 30% needs to build working capital. The final 10% he says to do what you want with it but don’t let 10% become 60%. Dr. Kohl shared a statistic where 19% of producers (85% of whom were grain producers) who had an income of around $85,000 spent 1000% on living expenses. I heard a similar remark from Tina Barrett with the Nebraska Farm Business Association at a different meeting. Producers need to know what your family living expenses are and get them under control. He also shared some questions regarding working capital for producers to consider. 1) Is your inventory protected? 2) How long will inventory take before it becomes cash? 3) Are contracts/receivables good? Know who you’re doing business with. He gave several examples of how those with too much debt took others under with them. 4) As you’re writing a lot of checks out now for prepaids realize you won’t see financial capital for 8-12 months. Thus, how much working capital is absolute cash? He recommended having at least 1-2 months available. 5) Look at your lines of credit and payables. Dr. Kohl gave a stat that there’s a 500:1 odds of a business making it to the 5th generation. Some qualities of a long-lived business include strong sense of core values, frugality, transition/planning (and he emphasized this is not an estate plan), professional development (1% of revenue should go to employee improvement and development), and building relationships. He also shared the primary pitfalls of transition being the younger generation taking over an unprofitable business, younger generation acquiring rusted out, worn out and faded out assets, and assuming non-farm sibling(s) has/have no interest in farm assets. There are many reasons to be optimistic about agriculture as well. By the year 2050 we need 100% more food, fiber, and fuel and 70% of that will come from new technologies. One in six jobs is related to agriculture. There’s a place for everyone-conventional, natural, organic, local-just know that they all won’t do the same in feeding the world. It was a very interesting presentation! You can read another perspective from Brandy VanDeWalle’s blog!